Are you all updated in your Fleet Management business? 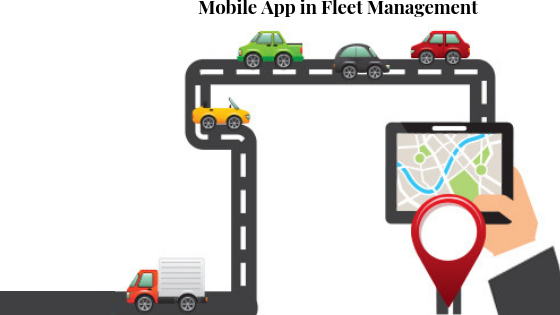 Are you using a mobile app in fleet management? Or still finding it tough to sort out through piles of papers, or doing almost the entire jobs manually? Using a perfect fleet management app or the latest mobile technologies will help you to manage your taxi business and your entire team to work more efficiently and smartly. Or in other words, it increases your overall productivity in the Fleet Management sector. Let it be about fleet management or regarding the personnel, a mobile app gives out real-time updates. Admin can initiate the necessary actions, reduce the operating costs and thus maximize productivity. Uber is one best example which you could learn from. They started out their business with a Fleet Management software, which became quite a rage around the world within a few spans of time. It has been found out that more than 50% of the commercial vehicles owned by the non-private organizations are interested to use the fleet management systems. The using of such systems will enable the fleets to make use of features like storing data, communicating with the back end, and to detect the real-time location of the fleets. The majority of operators are using GPS integrated mobile applications to run their business in a more systematic and enhanced way. It’s for sure that the usage of mobile apps will only grow in the future. And it will be adding more value and efficiency to the functionalities of the operating individuals. Some of the best advantages of doing so would be real connectivity, internet, and social media. It will naturally lead to an increase in the usage of mobile apps in managing fleet operations. There are a lot of benefits in using mobile apps in managing your Fleets. Using the latest facilities in running your taxi business will help you to access the different aspects of your vehicle like mileage, trip information, real-time location of the vehicle, finding customers and vendors, etc. Such information will be truly beneficial for fleet operators in a lot of ways. Now to the advantages in detail! The Fleet owners can take care of their business or literally track down from anywhere in the world with the latest technologies, like telematics, etc. The mobile apps provide instant notifications and much more on a real-time basis so that the owners can make decisions at a much faster rate compared to the traditional ways. Since the mobile app provides information on real time, it can alert the owner quickly. In case of unfortunate accidents to the vehicle, so that the fleet owners can make the necessary arrangements to save the people inside the vehicle. The data once entered into the system will remain intact, and no need to worry about losing the data. There are also less or no chances of data duplication or manipulation. Since data of the past and present are there, it helps to run the business more precisely than before! The maintenance of your vehicles will become much more easy and simpler. Since all the necessary data about the condition of the vehicle can be collected from the mobile app. The fleet management owners can do the required maintenance work of the vehicles beforehand. It will help to improve the life of your fleets or taxi cars. It also helps to replace the old vehicles if needed on a timely basis and keep the flow of operations smooth. The entry of mobile apps into the fleet management sector has made things much easier than before. There is no need to carry out those space-consuming laptops to manage your business. You can set all the things intact with your smartphones. Also, the drivers can access the legal papers and documents related to the cargo, within a matter of few clicks on their mobile phone apps. And thus the driver can concentrate more on the journey rather than on other things. The operators of the business will be able to plan the operations in a more better way. The drivers can provide their work schedule information via the app. It also provides Information like starting time of the journey, delivery time, journey time and other important information. The involvement of paper is visible from anywhere in the world with a swipe of your finger! The above-given benefits indicate the necessity of having a mobile app for your fleet management business. It enhances your business to a higher level of in case of efficiency and monetary benefits. The usage of mobile apps would also boost your insights about the business. So the companies can plan and execute their business accordingly. Are you interested in enhancing your fleet management business with those extraordinary featured apps? If you are interested in knowing how software helps in Fleet Management Try a Free Taxi Dispatch Software Demo. Here are Top 5 Features to include in Taxi Booking App to produce perfect Taxi software for your Taxi business. Contact a premium taxi dispatch software development company now!